It's been just about two years since Intel launched 3rd Generation Ivy Bridge processors which you may recall offers built-in features that make surprisingly fast work of transcoding, converting video, or managing audio projects with supporting software titles. And of course, Hyper-Threading assists in nearly doubling the work of the physical cores. Ivy Bridge itself is a relatively cool, smooth operating processor when used at stock frequencies with after market cooling. The only time Ivy Bridge upsets users is when overclocking. Once you push past 4.5GHz, CPU coolers struggle to keep the little chip from becoming a frying pan. This is why so many enthusiasts still love the 2nd Gen Core i7-2500/2600/2700 K-SKU series if they ware looking for top clocks. 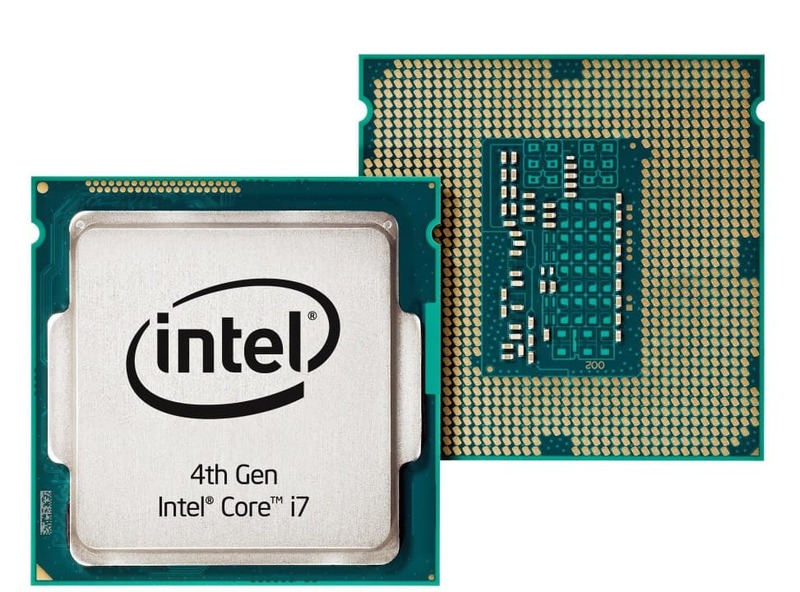 A couple weeks ago, Intel released their 4th Generation Haswell processor series. It continues to offer every feature but is architecturally different from Ivy Bridge. All the marketing data and other laboratory testing point to improved performance all around including new integrated Intel "Iris" HD graphics processing designed for supporting 4K displays. But does Haswell offer a new processor experience? Is Iris the boost needed to to move to 4K displays? And finally, is Haswell thermal friendly enough to overclock? These questions are what I've been taking the time to answer. Naturally, there are processor technology enhancements. Some of those include better Intel Wireless Display support for mobile platforms which ran in to a few glitches in the previous generation. Specifically new inside is Iris, Intel's integrated HD 4600 and HD 5xxx graphics, an upgrade to give smaller form factors and all in one systems a boost in 3D performance and better visual quality. Iris supports up to three UltraHD 4K displays and will specifically benefit higher end multimedia display users. It will also give mobile devices better, smoother, graphics performance. 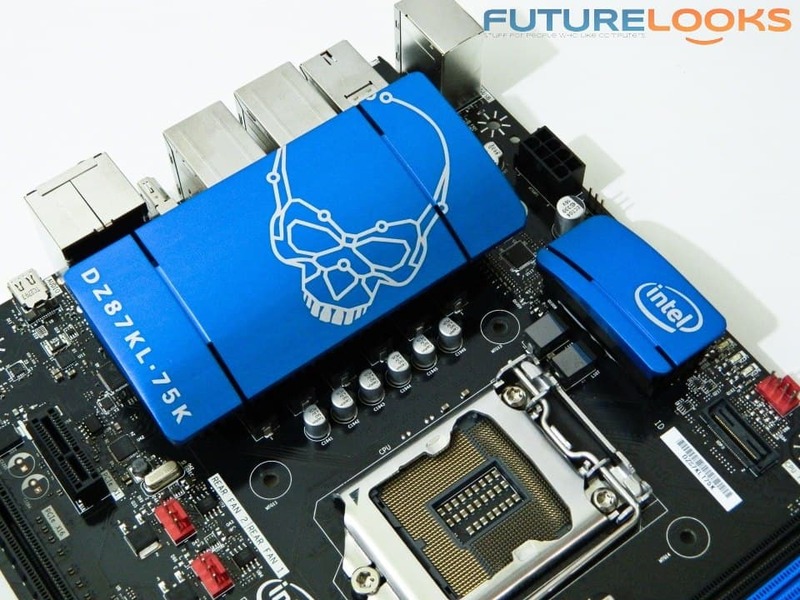 Haswell somewhat rolls the design clock back giving better control of the processor's steppings through the UEFI BIOS for more flexible overclocking. While Ivy Bridge was hampered by limited core and memory overclocking, Haswell has more independent settings for overclocking. Some DDR3 memory manufacturers have been successfully binning 3000MHz DDR3 just for Haswell. The potential is there but what about the heat? We'll cover that very shortly. Finally, Haswell requires a motherboard with the new LGA1150 socket. And to answer that question you have, no, it is not compatible with any previous generation LGA1155 socket, nor are LGA1155 CPUs compatible with LGA1150. You're going to have to grab a new motherboard for this new processor. But you can keep your RAM and your CPU cooler at least. As far as pricing goes, Haswell and Ivy Bridge parts are nearly at par (within $10 - 20 between parts) at most retailers. So when Ivy Bridge parts completely disappear off shelves, expect Haswell to step back in and replace the outgoing parts. There are some features inherent to the Z87 Chipset and Core processors which include integrated USB 3.0, PCIE 3.0 AMD Crossfire and NVIDIA SLI, Intel Rapid Storage, Intel Rapid Recover, Intel Smart Response, Intel Smart Connect, and Intel Rapid Start technologies. 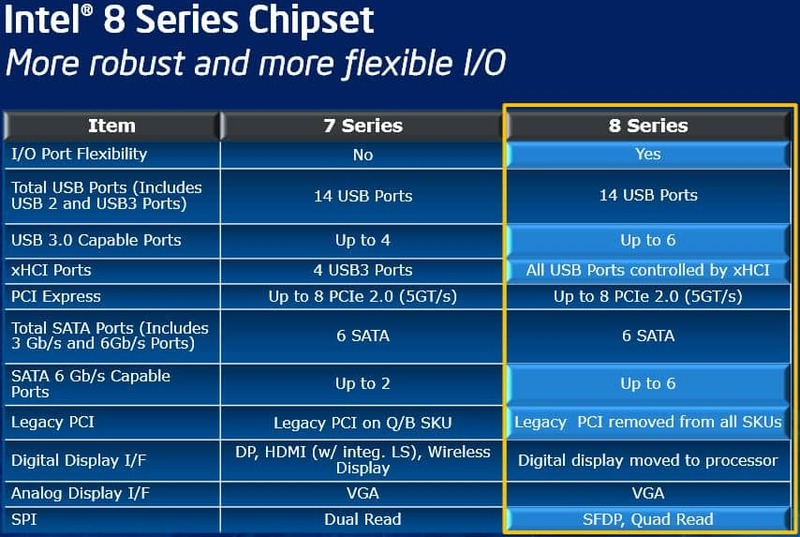 However, some of the features are optional and each Intel partner offering Z87 boards may offer their own unique features. We have several boards just about ready to queue up after transistor melting lab tests. It's a new battle between polished UEFI BIOS, software features, and bundles. In other words, Z87 is really pushing manufacturers to focus on the user experience. Aside from a few of the I/O extras, the bottom line is that the Z87 Chipset is very much like the Z77 pound for pound though engineering minds may perceive things differently. Graphics: NVIDIA GTX 780 "Kepler"
The latest BIOS were installed in each platform before testing. For the 3DMark11 tests, I'm using NVIDIA's 320.18 WQHL video driver along with an installation of the GEFORCE Experience. For the integrated GPU tests, I'm using Intel's latest driver with medium settings and a few game titles that casual gamers may use. 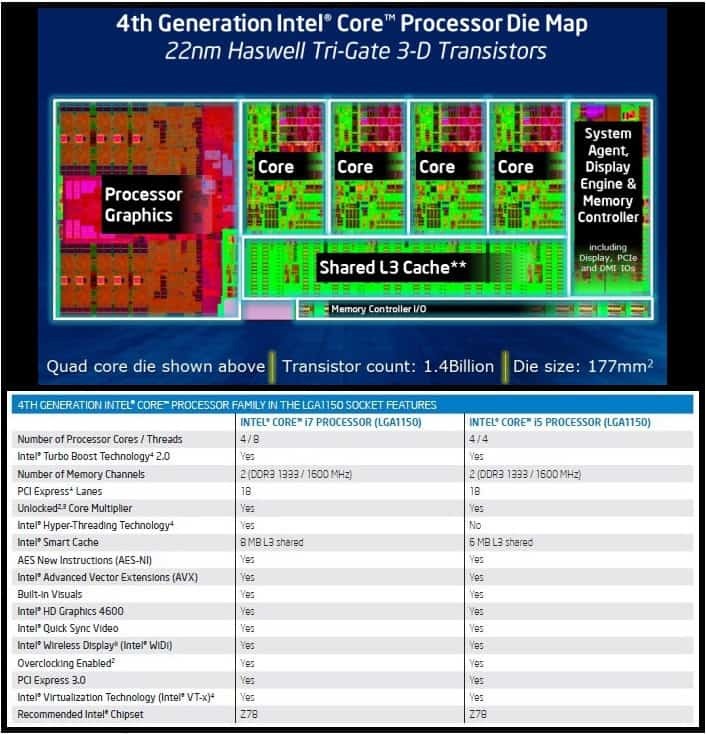 Is Haswell a completely new processor? Does it run cooler or are we looking at the same "stove top" CPU performance? Does it overclock? And, if so, how well and will it be something that can be sustained for months on end? Let's find out!